This is not a music review. 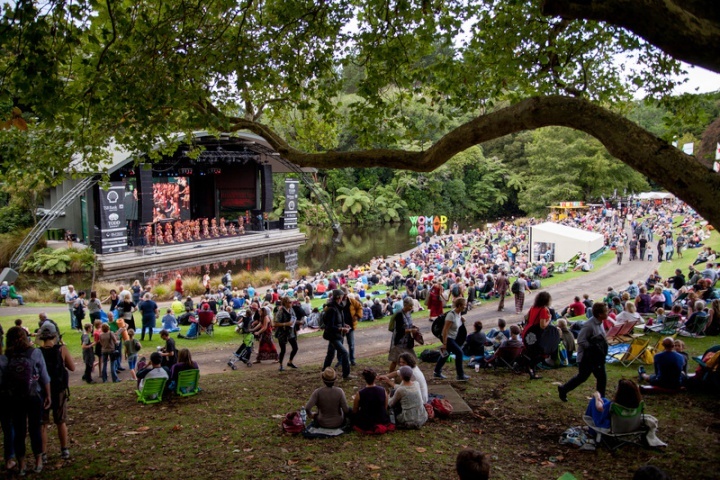 Ostensibly it was to be a review of the many amazing international acts from a diversity of cultural backgrounds who converged on Taranaki’s stunning Pukekura park for WOMAD 2019 in a celebration of a diverse world of music dance and Culture. However the events of Friday, moments before the gates opened cast an entirely different shadow over the festival and highlight the importance of such events as a way of growing closer together. It is hard to even put into words the surreal feeling of being at a festival that is all about culture, tolerance, diversity and peace in the shadow of something so monstrous and dark. But what better place to start the process of healing than surrounded by many diverse and peaceful people from around the world. The light of hope and love that shone so brightly towards Aotearoa in this dark time from the international guests, our own local talent and the Taranaki Maori hosts was impossible to ignore – it requires a contemplation of its own. One of the most powerful moments of Friday night for me, however, was tangata whenua soul diva Ria Hall’s apt final song dedicated to Christchurch “Love Will Lead Us Home” and her words of aroha, consolation and hope to introduce the song. Indeed ‘Love’ will lead the way home to the natural human state of peace. It may sound naive, but love truly is the only solution to fighting hatred, and we must commit to increasing love and the associated qualities it births such as tolerance and peacefulness and respect at every opportunity. However, acting with love also means identifying injustices and imbalances, and forming a commitment to dismantling racism, white privilege, colonialism and cultural extinction. Yes white supremacist terrorism is terrible. However, the psychological terrorism perpetuated by the white culture of superiority on the rest of the world over the last few centuries has been a million times more damaging. Love in response to such philosophies and acts of hatred is more than just symbolism and sharing grief. Love means critically inquiring into whether our Aotearoa and globally dominant Eurocentric Culture is designed to foster an environment of respect and fulfillment for all other religions, Cultures and ways of life. To anyone that cares to do this work, it is clear that the dominant Eurocentric Culture, with it’s ingrained and racist attitudes and colonial legacy is a huge part of the problem. This legacy created the hegemonic system of broken, unequal and marginalising political, economic and financial systems that excludes diversity and democracy and drives cultural extinction. In the face of a problem that severe, it is simply not enough to say “They Are Us”. In fact there is no ‘they’ or ‘us’. There is only We. We are all one people, originating from one consciousness – call it what you like – God, Allah, Azura Mazda, Olodumare, Pachamama or Ranginui – the source is undeniably the same. 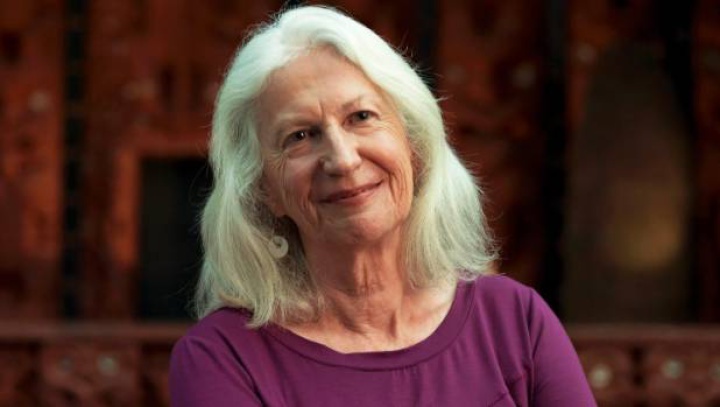 Confronting white supremacy requires a critical investigation of the role of white privilege in Aotearoa and globally in the ongoing process of “Cultural Extinction”. The reality is – it is not just biological life on earth facing extinction but “big-C” Culture. Languages, knowledge, religions and spirituality and most importantly worldviews of indigenous Cultures are disappearing at an alarming and rapidly accelerating rate. 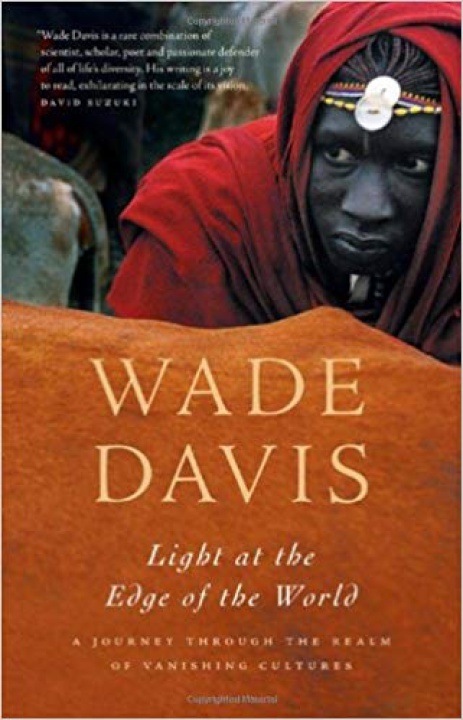 However, Anthropologist Wade Davis has pointed out in his book Light at the Edge of the World that the amount spent globally on preserving Culture and languages pales in comparison even to that (already infetismal) amount being spent on environmental remediation. What Can We Do About White Superiority? Confronting white supremacy and privilege also does not end with superficial “thoughts and prayers” and orgiastic outpouring of televised and social media grief dominating the corporate media airwaves for as long as the news cycle deems it profitable. Issues such as Gun Control and surveillance of white radical groups are very important, but real action against white supremacy and hate crime requires addressing bigger issues than that. It requires some real examination of our society and consideration of the root causes of hatred, whether it is White, Islamic or other groups perpetrating it. However our corporate media spend the rest of the year and even the same segments continuing to promote the same status quo system which justifies invasions for oil and a corporate financial system that burns the planet and stamps cultures into the dust. Both white supremacy, and Islamic radicalism were contributed to by imperial colonialism and conquest. The West’s support for the Authoritarian Saudi regime and Iraq wars (1 and 2), Afghanistan, Syria and Yemen wars have all helped to seriously destabilise the Islamic world in recent times and created the conditions driving immigration to the West that these people rail against. The amounts spent on these unjust colonialist wars could have ensured thriving cultures, languages, musical traditions and protected natural habitats many times over. This spending could have ensured a true and peaceful interpretation of Islam prevailed globally and it would also have reduced the need for forced migration to foreign lands far away from families and communities. Increased spending and focus on the needs and rights of all people could also have provided real and fulfilling opportunities to people in the West and minimised the rise of alt-right and white supremacy at its source. As much as people wish to point to such people as crazies and one off events – they are far from it – and doing so falls into the same trap of “othering” them. They are in fact the logical product of the disenchantment, disenfranchisement, confusion and alienation of a Western capitalist society that has travelled so far from the source of decent human qualities such as community and kindness. In this context, it is also difficult to reconcile the fact that the principal sponsor of WOMAD is Todd Energy – a company that profited massively from a 25 year joint venture and asset swap (buyout) by Dutch oil giant Shell in 2017. Shell has been responsible for much destruction of the Islamic world as well as other developing countries. Leaked minutes suggest Shell (and BP) were lobbying the British government to help the company access Iraq’s immense oil reserves, before the 2003 US/UK invasion and occupation of Iraq. The companies previously denied any such meetings took place but minutes were obtained through FOI requests and revealed in the book Fuel on the Fire by Greg Muttitt. Meanwhile, A New Amnesty International report has pointed to Shell’s complicity in horrific crimes committed by the Nigerian military against the Ogoni minority in the 1990s and calls for a criminal investigation. How does WOMAD help foster tolerance and peace? WOMAD, more than any event I have been involved in, makes it acutely clear to me how connected we all are. Newly emerging science confirms that the concept of race is in fact a social construct, not a scientific one as all humans share over 99% of our DNA. It seems we also share most of our musical DNA. People call WOMAD a celebration of ‘world music’ – but there is really no such thing – it is just music. All music is ‘world music’. Some may dismiss such events as a showcase for diversity – almost like a freakshow putting musical cultural artifacts up for display like colonialist collectors – however I do not see it like that at all and it is clear that neither do the many performers or attendees. The fact that the Taranaki Iwi has taken such a powerful leadership role in WOMAD also does a lot to dispel any such perception. All of the music on display indicates musical traditions that are alive, vibrant and adapting to modern technology and influences. At WOMAD we are not attracted to the difference – we are in fact attracted to the essential sameness that lies beneath this difference but is expressed over and again in uniquely beautiful ways. Exposure to these different forms of expression can also help us understand other cultures, spiritualities and worldviews better than we might otherwise. All music came from the same place – our collective creative consciousness. In fact, the purpose for which music first emerged, appears to have been as a tool to bring people closer together through expression and creation of ecstatic and uplifting feelings. All music is most likely derived from spiritual music traditions – it emerged in humans as a tool of concrescence to help bond communities closer together through shared experiences of ecstatic or trance like states. Many of the music, dance and chant rituals still preserved by indigenous peoples and religious orders globally continue to use music and dance in this way to help people reach a state of higher spiritual connection. As a trained cultural anthropologist and amateur ethnomusicologist I am perhaps more consciously aware of these deeply spiritual and intercultural music connections than the average punter at WOMAD. However, the diversity of people dancing and enjoying it at Womad proves to me that we all feel them and we all deeply resonate with these traditional rhythms and harmonic frequencies when we hear them and feel them in person. The excellent documentary film Entheogen – Awakening the Divine Within explores how music and dance have achieved this awakening across history and explains why dance music culture still plays such an important social role in our contemporary environment. In an interview, co-director Rod Mann has said that such states of ecstasy are proven to help by bringing a sense of awareness to ego inflation and self importance so that we may gain a stronger sense of our community and our planet. Such states can also heal past traumas and increase love and other positive emotions towards our fellow humans. It seems that we all need a little more of that medicine right now. Perhaps this is why humans seem to universally resonate with the essence of human expression, love and creativity that runs through most traditional music. Music is an expression of beauty, and a communication in sonic vibrations affecting our bodies in a primal and uniquely human way. It is a tool for tapping into and communicating that essential oneness uniting us and making us all human. It can help us heal past pain and programming and to learn to treat each other with more understanding, respect and peace. To me, that has to be a positive thing for our struggling society. To further address my white privilege, a wise friend has suggested the Me and White Supremacy Workbook by Layla Fasaad. I am going to do it and encourage all Pakeha to join me. Now that rant is out of the way, in my next piece I might actually talk about some music. There was so much of it at WOMAD and it was as amazing and inspiring as always.